Usually we would have a Questions & Answers post today but as I explained last week, I have decided to discontinue the Q&A post series in its previous format and replace it with a weekly Reader’s Question, which will be published every Friday from now on. 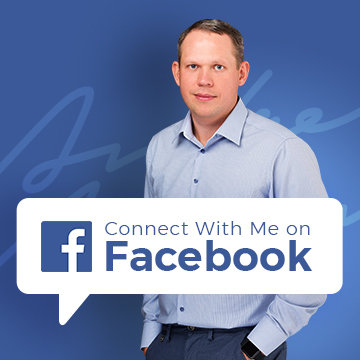 So if you have a question that you would like me to go over, in-depth, then please get in touch via the contact form on this page! Today’s question came from Ignacio and is related to International visibility for eBay listings. Even though I have already covered “How To Sell On Regional eBay Sites” in a separate post, I feel there are still some misunderstandings so let’s cover this topic in more detail to clear the air. First of all I want to thank you for all the help you provide for all of us. I really appreciate how you kindly reply to every question, providing the best advice. I’m going to buy your course soon as I know it’s a “must” to be successful. I have an eBay account that I set up on ebay.co.uk, as I live in the UK. I offer worldwide shipping and sometimes get sales from abroad. The question is how did I get those sales as if I go to ebay.com my listing isn’t there and if I go to ebay.is (eBay Spain) my listing isn’t there either? Also should I list my products on ebay.com to reach a bigger market and should I create specific listings for every European country? I haven’t still completed my 90 days on eBay, so I can’t expand my eBay allowances. Would it be worthwhile for me to create another eBay account to get more listings? First things first – IF you offer International shipping on your eBay.co.uk listings, they “may” appear on other regional sites, by default. I say “may” because eBay usually puts these listings at the end of search results, below local listings. But if an item has small competition, it could be that your listing appears in the top 1-3 pages of search results on ebay.com and other sites. So that’s one possible explanation. As you say that you haven’t seen your listings appear on other regional sites, the second explanation as to how you’re getting international sales from time to time could be something very simple – people who don’t live in the UK are visiting ebay.co.uk and making purchases from there. This is very popular in many European countries, especially ones where there are no local eBay sites. People will often choose ebay.co.uk instead of ebay.com as they know that items will be sent from the EU, meaning fast delivery and no hassle with customs and import duty. I know that even people from the US check out ebay.co.uk when looking for something different, maybe goods that are not available in the US or goods that are manufactured in the UK or Europe. So taking these two points into account, it’s really no huge surprise that you get international orders from time to time, even though you’re not listing directly on any other regional eBay sites. Both these strategies offer the same advantages with the difference that opting for international visibility is much simpler of course – all you have to do is tick the boxes for whichever sites you want your listing to appear on (there is an additional fee for each country you list in). The downside is that this only works in the US, UK, Canada & Australia. You can’t use this feature to get automatic visibility on ebay.de for example. And the reason behind this is obvious – these 4 regions are ENGLISH speaking countries which means that your listing (in English) will be perfectly understandable for people in those 4 countries. IF you want to get featured on European eBay sites such as eBay Germany, eBay Spain, eBay France and others, there’s no other way than to list DIRECTLY on these sites! You don’t need to create a new eBay account for this – you can use your existing details to login to ANY regional eBay site and simple create your listings from there. Of course, these regional sites will be in a different language, not English, so you’ll need some help from Google Translate or other such tools to get this done. Also, you have to expect many people to contact you in a language other than English so there’s a risk of miscommunication. To keep this problem to a minimum, you can still create your listings in English and clearly state that you only provide support in English. Even though these are great strategies to get your listings in regional markets, many customers will still prefer to buy from local sellers for obvious reasons – it means faster and cheaper delivery with no possibility of problems with customs etc. But there’s a way around that too – if your products are small and easy to ship, you can always consider shipping them in BULK to a regional fulfilment house, such as Amazon Fulfilment or Shipwire. The ULTIMATE Fulfilment House BATTLE! eBay also offers a Global Shipping Program, but for reasons explained in my international selling article, I don’t really recommend using it. Lastly, as for eBay limits and opening a new account – it’s not worth doing! 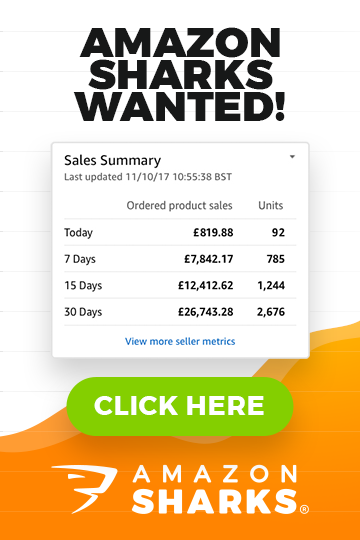 You’ll still get limits on any new accounts you open so why dilute your sales across multiple accounts? Better just concentrate on your main account, get those first 10-20 feedbacks in and then contact eBay to increase your selling limits. After reading this article, I spent some time researching this information within my listings. The reason for this, is that I receive quite a few European orders since I joined the global shipping programme, especially for my high end products. Firstly, my items are listed on the European sites, but weirdly enough, unlike with amazon, they are not translated, so shoppers searching in their own language will not find your listings! Also, since their categories are different, they won’t find them by browsing for a category either! Secondly, even if they do, for some reason choose to search in English, as you mentioned, my listings are quite low in search results. I therefore followed your advice & got my products translated into German (after terapeak research) & I have started listing them. My first item immediately ranked on the second page, (or the first page for “new” items). (Be sure to set the delivery address to Germany when testing this). I hope that this information will be helpful to other eBayers. This is really helpful Andrew, didn’t realise that I could log in to other regional eBay sites with the .co.uk account details . That’s good to know. Just to confirm: that doesn’t mean I am automatically a TRS on ebay.it, ebay.de etc, I would have to qualify on each individual site, right? … Nice new look of your blog, easy to read fonts even from a mobile device, love it. Finally it’s 100% mobile compatible and looks great in phones. Yes, you still need to reach TRS for each specific country.